These women were a part of the Westmont family although they never enrolled as students and probably never met one another. Each individual became acquainted with the college through our development staff. They had an important relationship with Westmont and received life-income checks from the college until they departed this life last year. Each of these women made a difference by leaving a gift to Westmont. What Did They Have in Common? These women valued higher education and believed that Westmont is a place that prepares young people in a special way. They saw that Christian higher education makes a difference. Each one wanted to leave a legacy gift to Westmont, but they also needed to supplement their income during their lifetimes. Over the years they talked with staff members from Westmont’s development office to find a way to accomplish their goals. What Plan Did They Choose? A Westmont gift annuity turned out to be a logical choice for them. It provides a lifetime income (as well as a charitable deduction for income-tax purposes) and ultimately leaves a gift to Westmont. Some of our annuitants are widows (or widowers), and some are single persons. Some gift annuity agreements are set up by a husband and wife with the promise that Westmont will continue to pay the annuity to whichever one survives. Other agreements are established through a will or living trust that provides supplemental income for a surviving loved one with an ultimate gift to the college. A Westmont gift annuity is a plan that fits many different family situations. 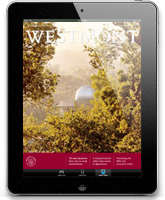 With modern technology it is now a very simple matter to provide our Westmont family with facts and figures to help in the gift-planning process. If you think you want to “make a difference” and need more information about a Westmont gift annuity, we would like to hear from you. Annuity rates are based on age, so we need to know birth dates and whether you would be using cash or appreciated assets to fund the gift annuity. Then we let the computer produce a proposal to show what your annuity payment and your income tax deduction would be. 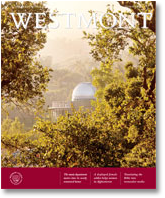 You can contact me by letter, phone (805) 565-6034, e-mail ischatz@westmont.edu or by fax (805) 565-7250, if you are interested in a Westmont gift annuity.